Build Lego is a web application made ​​by Google for Chrome and it is a place where you can build things out of Legos. We will have to cover the map of Australia and New Zealand. The reason for this application is for the 50 years anniversary of the Lego brand. So if you're bored and inspired, Build Lego visitors will see as your imagination will make you remember those good times you had as a boy. Electronic Arts opened the box of social simulators for Facebook to adaptation to the social network of your Social simulator The Sims. His arrival was one of the most successful on Facebook, with millions of users. After launch, the company Zynga, a leading developer for social networks, was in the background to see how after the release of The Sims games Social her lost popularity, launching from then different types of proposals and new titles. Zynga has recently taken a similar path that Electronic Arts has presented The Ville, a game that is presented as the game was lacking in the range of titles "Ville" of the company, but the game focuses more on the social component of these applications, through a social simulator where, as in The Sims Social, our goal is to build our house and next to our little avatar will do it our own virtual home. And there is no easy task, and our character will have to grow while our house, thanks to the different objects that may improve some of the attributes of our avatar, or to serve the daily needs of the latter, such as eating, sleep or play. The visual aspect of the game is closer to that seen in other titles such as Farmville, but inevitably find several similarities with the social simulator from Electronic Arts. The social component of this game is again one of the cornerstones of the same, as we visit the homes of our friends, neighbors in this simulator, and even interact with their avatars, can engage in different types of relationships, from friends to family indeed. There will be no limit to when interacting with all the neighbors we want, and the game will reward us more than all the actions that will attract more characters to play. Obviously our character can not do anything we want when we want, the energy will be an important factor in this game, that will help make our avatar actions and rest after performing many tasks. Energy, as in The Sims, recharges in minutes without ordering your character use any action that requires energy. There will also be the economic factor in the game, since you need money to buy furniture or appliances or remodeling our house. This money can be achieved with help of the work undertaken by our character, that as you get older specializes amounts of money. The game has a weakness against the proposal from Electronic Arts, which is that The Sims is a franchise with more than ten year career, which greatly helped to launch Facebook. 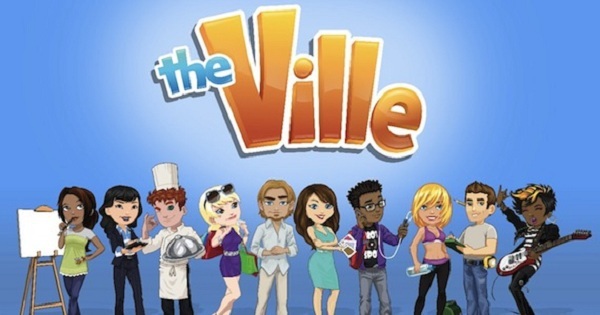 On the other hand the range of games "Ville" has earned the respect of the users as several of the top Zynga games with unique user applications on Facebook for many months. Will Zynga with their particular social simulator unseat the rest? Again only time will tell. Nintendo has shown new images of its upcoming title New Super Mario Bros. 2, sequel to the game "New Super Mario Bros." which was released for Nintendo DS in 2006. Also announced that those buyers making pre-purchase the game in the arcades GAME and Gamestation will receive a box-shaped coins that are collected in the game. This case can hold the cartridge title, which means that it is not very large. If the pre-order is in GameStop , the bonus is a pin. New Super Mario Bros. 2 will be released on August 17, 2012 in Europe, 18 in Australia, 19 in North America and in Japan on July 21, besides being available for download on the Nintendo eShop, it will be the first game that is sold in both physical and digital format to 3DS. The lucky owners of a Plus subscription service PlayStation Network, will receive four more games for free as we promised the people of Sony in the past Electronic Entertainment Expo (E3 2012). From tomorrow, Tuesday July 3 games will be available: Ghotam City Impostors , Pac-Man Championship Edition DX and Renegade Ops -which fascinated me. The fourth game will be free Rainbow Moon and will arrive next week, on June 10 also at no cost to the Plus. A month ago, those new subscribers and also had the ability to download 12 games for free from the PlayStation Network Store. Titles of high quality and highly entertaining that probably many users are still enjoying it and have not completed nor half. These games, combined with the summer discounts the PlayStation Network Store, will give gamers the opportunity to be done with great titles for little money. Those interested in acquiring the services of PlayStation Network Plus , know that the 1-year subscription will cost $ 49.99 for 3 months and $ 19. This service will give subscribers access to demos of full games for an hour, discounts on regular price of some games from the PSN Store, and dynamic themes, avatars and games also clear. Zynga returns with a new title for the social network Facebook, this time with a puzzle game that, despite having a well-known mechanical, the company throws in the social network with many innovations, especially in the social factor. Ruby Blast is the name of this game, very similar to that seen in Puzzle Quest or Bejeweled but reinvented by Zynga, with multiple skills to "clean up" the game board and game modes, among other things. In the game take the role of the excavator and Ruby adventurous, guided by his father, seek out the great ruby on a journey into the deepest part of the earth. This land will not only be composed of rocks with no value, but also precious stones, that Ruby should be combined into rows or columns of at least three stones of the same color to continue digging and reach the deepest part of the earth, where We expect the larger stones. The excavation will conduct destroying these stones, exchanging their positions with others close to them to achieve the best combinations or destruction chain, ie, achieve more combinations in the time that destroyed a row. In this way we will win points which can be multiplied if we manage to destroy large combinations or large quantities of gems in no time. Stones will work as a modifier of the board to facilitate our search for the great ruby. These rare stones are actually special powers that Ruby used to kill the vast majority of stones. Some of these powers are meteor shower (destroys entire stone columns), novae (destruction cross), dynamite (destruction in the given area) and many others. The resolution of these effects can completely change the board, may improve or even improve their condition. The mouse of your computer will be the main control element for this game, it will be a very simple and intuitive controls, as we turn to select only those stones that are together or we're going to move. Likewise also select a special modifiers or those elements which interact both with ourselves and with the board of gems. Overall control is not a problem to play but the game mechanics forces us to be fast and accurate with our movements, as each game will be against the clock. Zynga once again committed to the social component, which is again displayed in this game interacting with the social network Facebook. The social component is the main competitive as we confront our friends across the ranking among our acquaintances to become the number one. This position will be determined by our progress in the game and how many points we make in a game, 100% arcade style.